I painted this using vintage tote tickets in the background. 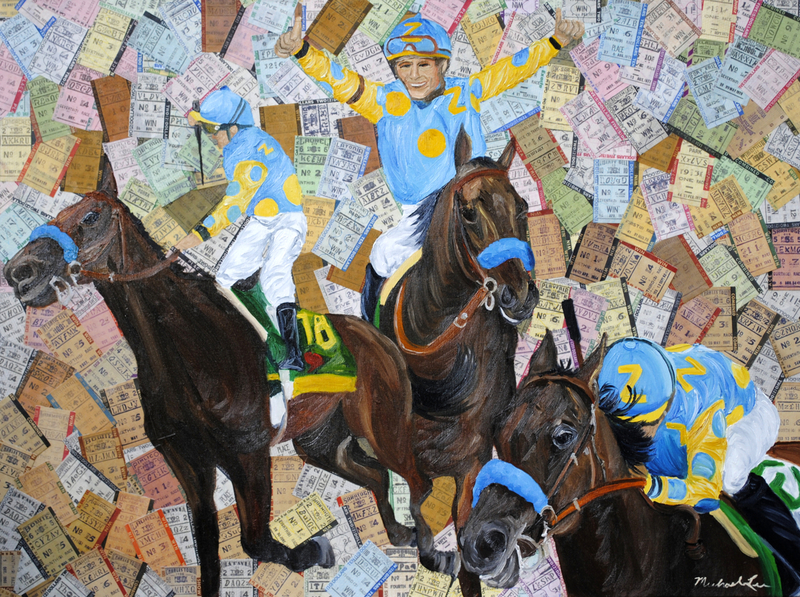 The horses and jockeys are painted in oil. 5" x 6.75"7" x 9.5"9" x 12"11" x 14.75"13" x 17.5"15.5" x 20.75"